15.5 kilograms of heroin is a serious amount of illicit narcotics. 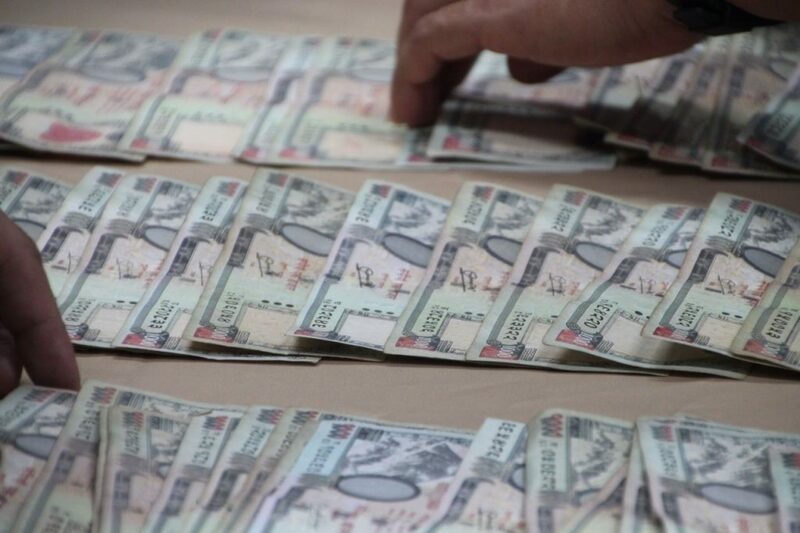 Six Nepalese and one Indian national have been accused of being members of a transnational drug-trafficking syndicate, They’ve been transporting drugs by having people swallow dozens of capsules containing heroin and were arrested last week. 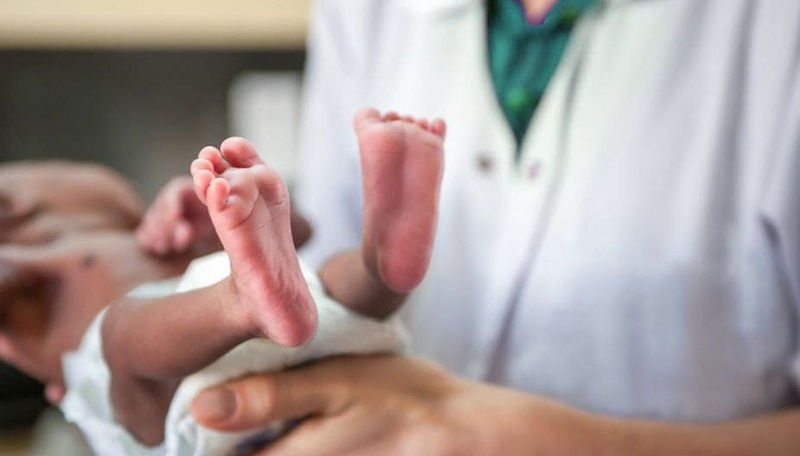 The Nepalese suspects were identified as Singha Bir Gongbotamang, Sudarshan Thapa, Prasad Gurung, Suresh Tamang, Abashesh Gurung and Kare Gurung while the Indian national was identified as Lal Gurung. All were aged between 36 and 62. Chuchat said Gongbotamang was the first to be arrested on June 6 after being found with 15.5 kilograms of heroin in his luggage while waiting to board a plane from Chiang Mai International Airport to Bangkok. The following day, police raided a condominium in the Soi Sukhumvit 77 (On Nut) area of Bangkok’s Suan Luang district and arrested Lal Gurung and Thapa. They also seized 1,450 grams of heroin, a digital scale, and plastic capsules for smugglers to use when swallowing heroin for transportation to a third country. Another search of a nearby apartment on June 8 yielded the remaining four suspects, who were linked to the previously nabbed trio. 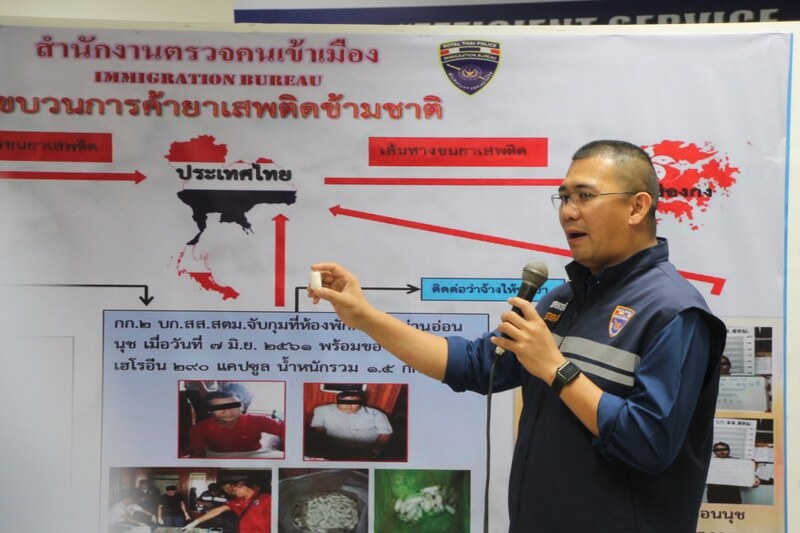 Immigration Police 2 superintendent Pol Colonel Pravit Sirithorn said the men were allegedly hired to swallow heroin capsules – with each expected to ingest at least 50 capsules – to avoid the authority’s detection while travelling through Suvarnabhumi International Airport to Hong Kong. The police investigation found that Gongbotamang paid 2 million baht for the heroin in Myanmar and smuggled it into Thailand. 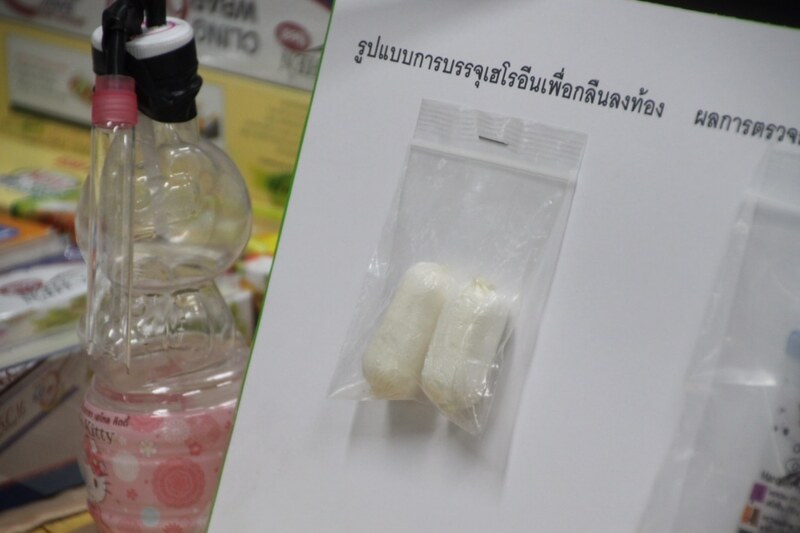 The six men would then swallow capsules containing the heroin before travelling to Hong Kong in exchange for about 100,0000 baht in payment per head. Police initially charged the three earlier arrested men with having heroin in their possession with intent to sell, and revoked the visa of the four later-arrested men over prohibited behaviour under the Immigration Act 1979.